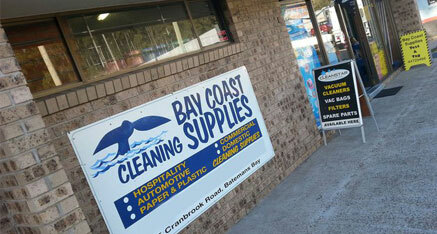 At Bay Coast Cleaning Supplies we provide a comprehensive range of products and services to suit your business. We supply all the leading brands of cleaning chemicals for bathrooms, kitchens and floors. We also stock our own brand of tried and tested products at great prices. Most products we sell are available in 5, 15 and 20 litre sizes. Some of the brands we Stock include: Peerless JAL, Research Products and AGAR. Brands We Stock: Sorbo, Edco, Pulex and Oates. Regularly vacuumed carpets and upholstery are cleaner, healthier and prettier. Vacuuming gets rid of dirt, dust and allergens before they start building up. We supply different types of vacuums, including backpack vacuums, floor machines, wet and dry vacuums and carpet/upholstery extractors. Floor polishing and burnishing can leave your floors looking shiny and glossy. We have floor polishing and burnishing equipment from leading manufacturers, and all equipment is serviced by us along with spare parts and consumables. Sometimes regular vacuuming won’t do the trick. When you want more power, carpet extractors are just what you need to get a deep clean. We have carpet cleaners and heavy duty carpet extraction machines available for whatever your cleaning requirements might be. 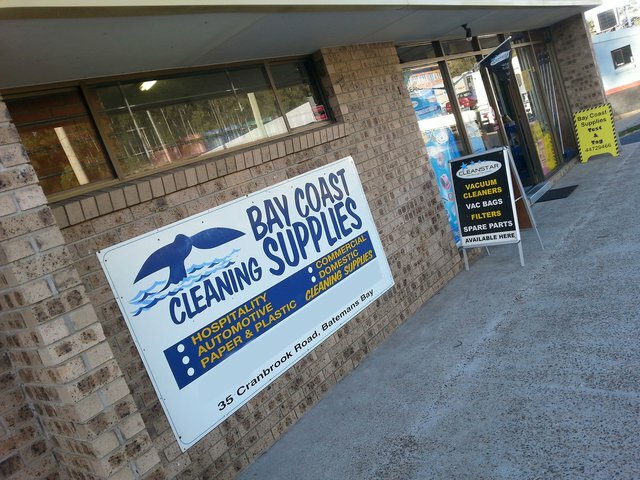 Customers in all types of industries use our carpet cleaning products, from general cleaning companies to aged care facilities, hospitals, hotels and motels. We can visit you to determine what best suits your business’ needs. We supply bulk paper products, including toilet paper, hand towels and kitchen rolls. Brands We Stock: JS Hayes, Solaris Paper and Beyond Paper. We have dispensers available for hand soap, hand towels and toilet paper. Brands We Stock: Davidson Washroom. We have all the supplies doctor and dental offices need to stock up on, including gloves, masks, protective body wear, wipes, vomit bags, medical visors and safety glasses. Vinyl, latex and nitrile gloves are available in sizes small to triple extra-large, powdered and powder-free and various colours in nitrile. All gloves are HACCP approved, DOP & DEHP free and available in Vinyl and Proflex™ variants. Gloves are dispensed cuff first using the Progenics™ Dispenser System, which reduces contamination. Surgical face masks are available with ear loop or tie options with BFE >99% risk II breathability. Respirators are available in P1 and P2. Valved or non-valved masks are available. We supply a comprehensive range of disposable patient gowns, aprons, bouffant caps, coveralls, sleeve/shoe covers and crimped berets. We supply hospital-grade isopropanol wipes, which kill 99% of germs. We supply alcohol-free, hospital-grade disinfectant wipes that are pH neutral and fragrance free. We supply regular and premium baby wipes, free of latex, paraben, chlorine, soap and fragrance. We have twist and dispose vomit bags available designed to reduce risk of cross contamination. We have dispensers available as well. The medical clear visor is an acrylic sheet designed to protect the face from fluid splash. The 33 cm x 22 cm visor has soft foam strips and thick elastic loops, so it can be worn comfortably over a mask and does not produce glare. We supply medium-impact rated safety glasses that have a lightweight, comfortable fit. They are made with polycarbonate lens and have an anti-scratch surface. The glasses are available in clear and smoke lens options, and as single or 12-pack units. The gloves we stock are strong and reliable, professional-quality disposable gloves that are ideal for all food handling applications and general hygiene purposes. We have all sizes and both powder and powder-free options available. Matting is an important part of keeping outside debris from getting onto your floors. We can provide a wide range of matting types to suit our customers’ needs including size, colour, textures and logo printing, if required. We have all the catering supply essentials, including disposable cutlery, cling wrap, foil, plates, napkins, doyleys, bowls and cups.